Professor Michael Chia, PhD, BSc (1st class), National Institute of Education, Nanyang Technological University, SINGAPORE. Professor Michael Chia obtained his PhD, majoring in Paediatric Exercise Physiology from Exeter University in the UK. He earned a 1st class honours degree in Physical Education and Sports Science from the Loughborough University in the UK and a Distinction Diploma in Physical Education from the College of Physical Education in Singapore. 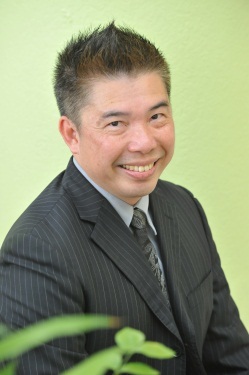 He is Professor of Paediatric Exercise Physiology and Dean for Faculty Affairs, and was previously, the Head of Physical Education and Sports Science at the NIE, NTU. His professional credentials include certifications by the British Association of Sport and Exercise Science (BASES) as a sports scientist (Physiology Research), the American College of Sport Medicine (ACSM) as a Health and Fitness Director and the Outward Bound School in Hong Kong. He held Visiting Professorship stints to Japan and Taiwan and gave invited keynote lectures to international audiences in Japan, Taiwan, Malaysia, China, Portugal, Romania, Greece and the United Kingdom. He is also an invited expert panel member for the International Olympic Medical Commission Consensus Group on Youth Talent Development in sport. His published research articles are in the area of in(activity), fitness and well-being of youth and school physical education. Professor Michael Chia pioneered innovative school intervention programmes such as PRIDE for PLAY™, which has multi-layered benefits and is currently involved in researching its efficacy in schools in Singapore. PRIDE for PLAY™ won a highly commended award from World Leisure International Innovation Prize in 2010. He earned three commendation awards for excellence in teaching at the university and has supervised 10 graduate students to completion at Master and PhD levels. Professor Michael Chia is a sought-after expert for his views on children and adolescent health matters and his research were featured in the national (radio, television and press), and international print media.